Household organic waste is converted to wonderful compost in a few months. Tiger worms can eat their body weight in food each day !! This is my seccond worm farm, a much improved version that requires zero maintenance !! It also tended to get very smelly when the middle tyre layers became anaerobic due to poor ventilation. This improved version is a "Horizontal" wormfarm. 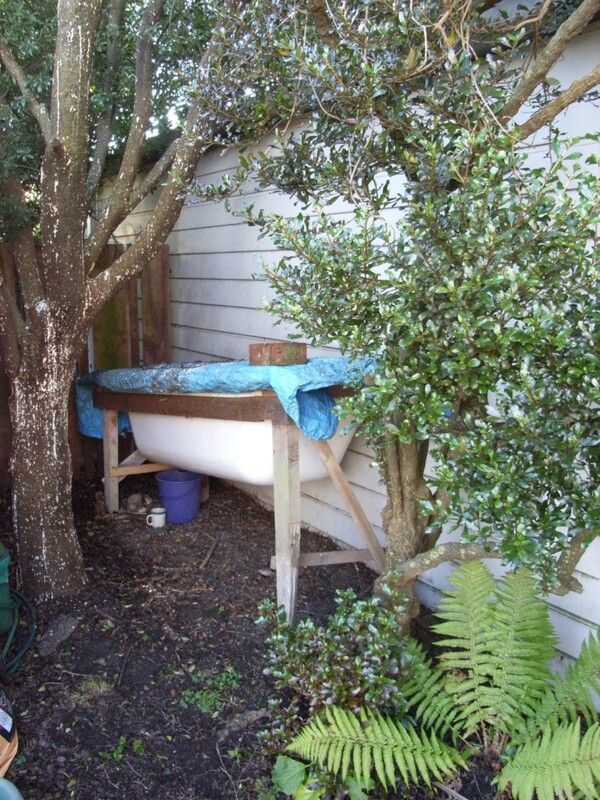 Everything sits inside an old bath tub (mine cost $12 at the second hand shop.) 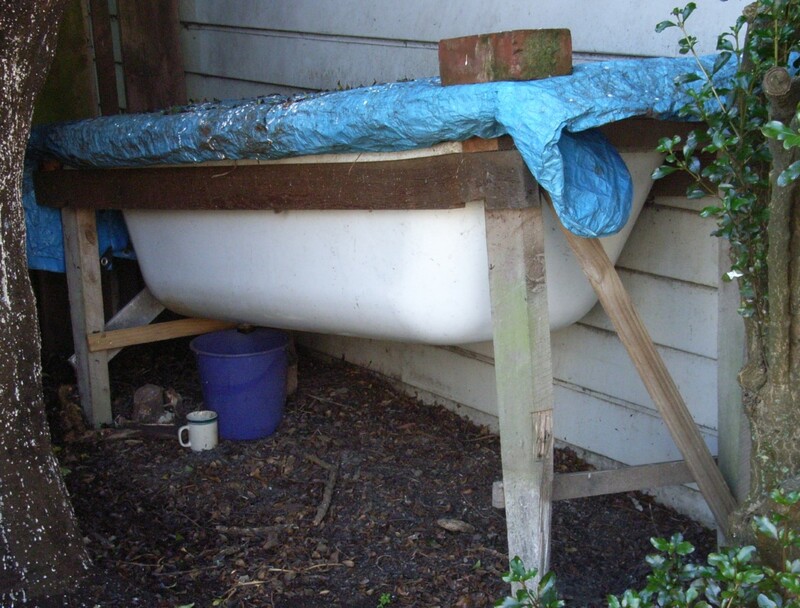 You add the kitchen waste at the slightly higher end, and take compost from the other end of the bath whenever you need it. There is even a bucket under the plug hole to catch the worm juice. Worm juice is a great fertiliser. To use the worm juice dilute it by adding roughly ten parts water for every one part worm juice. It is very concentrated and can burn your plants if not diluted. Copyright 1997-2014 by Anthony Field on all images/text/information and graphical materials on this website.